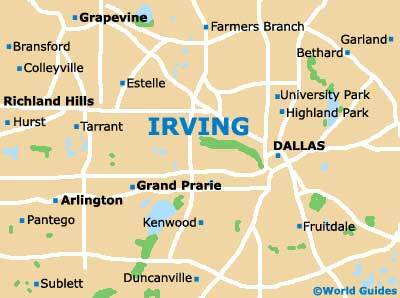 Irving has but a handful of monuments and landmarks and visitors wanting to follow a wider historic trail of Texas should head for the neighboring cities of Dallas and Fort Worth. However, Irving's Marble Cow Sculpture is the city's most stunning landmark and a must see for anyone visiting the Las Colinas area. Situated next to Main and Market streets in downtown Dallas is the John F. Kennedy Memorial, a fitting tribute to the popular president who met his end at the hands of an assassin in 1963. 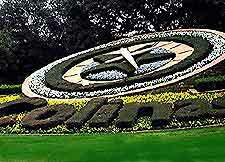 The Las Colinas Flower Clock is a landmark that takes its inspiration from those prevalent in some of Europe's magnificent gardens. The clock's flowers are changed every three months to ensure that the display retains the vibrant character that it is famous for. Located at the top of Bluebonnet Hill, Irving's Marble Cow Sculpture stands as a memory of the Las Colinas ranchlands that were once a predominant feature of the area. The monument features five marble cows which were designed and sculpted by artist Harold Clayton. 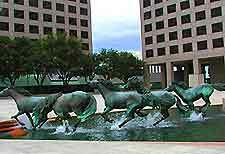 A modern-day equine sculpture and something of a focal point of the city, the Mustangs of Las Colinas is a magnificent sculpture that captures and immortalizes the spirit of Texas' heritage. The running horses are representative of the sense of free spirit prevalent throughout the state, both in past times and the present. Old City Park offers visitors the chance to get a feeling of what life in Texas was like in days gone by. This charming historic village is home to a number of well-restored period buildings.